Reference: ‘’, Boston Consulting Group, 24 March 2011. 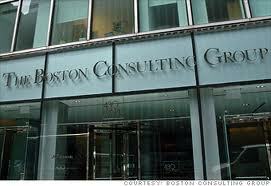 The Boston Consulting Group (BCG) is a global management consultancy with more than 70 offices in over 40 nations and employing almost 5000 people. Reference: ‘About BCG’, Boston Consulting Group, 2011. As the world's leading advisor on business strategy, we seek to be agents of change—for our clients, our people, and society. Reference: David Matheson, Anne Wilkins and Daphne Psacharopoulos, 'Realizing the promise of disease management. Payer trends and opportunities in the United States', Boston: Boston Consulting Group, February 2006, p. 4 . BCG played a major role introducing, promoting and implementing the concept of disease management. Disease management is an attempt to reduce the cost of chronic diseases such as (to employers and insurers, for example) through introducing population-wide protocols for treatment. Doctors no longer had the freedom to treat their patients as they thought best and many referred to disease management as "cookbook medicine" that prioritised cost-cutting over patient health. Reference: James O'Shea and Charles Madigan, Dangerous Company: The Consulting Powerhouses and the Businesses they Save and Ruin, Nicholas Brealey Publishing, London, 1999, p. 171. BCG encouraged pharmaceutical companies to use disease management as a strategy to promote their drugs as cost-effective medical treatments to hospital managed care companies. Reference: David Matheson, Anne Wilkins and Daphne Psacharopoulos, 'Realizing the promise of disease management. Payer trends and opportunities in the United States', Boston: Boston Consulting Group, February 2006, p. 9 . The link between disease management and pharmaceuticals was an obvious one—and one certainly not lost on pharmaceutical executives. When prescribed appropriately and taken diligently, prescription drugs help keep many diseases in check and help prevent patients from requiring hospitalizations as well as surgeries and other invasive treatments... For much of the decade [the 1990s], pharmaceutical companies invested heavily in the approach, both building and acquiring programs. Reference: James O'Shea and Charles Madigan, Dangerous Company: The Consulting Powerhouses and the Businesses they Save and Ruin, Nicholas Brealey Publishing, London, 1999, p. 174, 178. 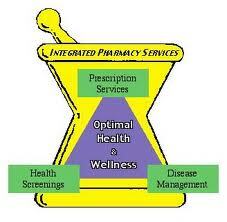 Over time managed care companies allowed pharmaceutical companies to run their disease management systems. 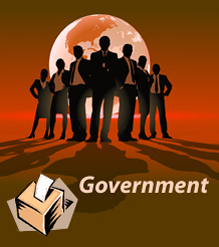 The pharmaceutical companies formed consulting subsidiaries for this purpose. This enabled those companies to promote their own drugs as part of the disease management programs. Reference: James O'Shea and Charles Madigan, Dangerous Company: The Consulting Powerhouses and the Businesses they Save and Ruin, Nicholas Brealey Publishing, London, 1999, p. 178. For example Eli Lilly's disease program for depression, ProPartners, not only included individual patient education about the phases of depression but required treatment to be with prescriptions of Lilly's drug, Prozac, including "continuing antidepressant therapy for 4 to 9 months after remission of symptoms". Reference: Quoted in James O'Shea and Charles Madigan, Dangerous Company: The Consulting Powerhouses and the Businesses they Save and Ruin, Nicholas Brealey Publishing, London, 1999, p. 178, 174. In 1996 American Medical News noted that "dozens of insurers, employers, integrated delivery systems, hospital networks, physician-hospital organizations, and pratices" used disease mangement services" and looked to pharmaceutical companies to run them... "No one is keeping count, but drugmakers say they're running scores of disease mangement programs and that demand is booming". Reference: James O'Shea and Charles Madigan, Dangerous Company: The Consulting Powerhouses and the Businesses they Save and Ruin, Nicholas Brealey Publishing, London, 1999, p. 148, 179.
the story of BCG's role in disease management also is a dramatic example of the growing influence of consultants on the jobs and lives of ordinary people around the world.... Management consultants often work in shadows, cloaking their missions and client lists in secrecy. But their influence is spreading rapidly and widely as they grapple with social problems that emanate in the workplace. [However] BCG, after all, developed its ideas for clients that want to maximize profits, a goal that is not necessarily compatible with the broader public interests involved in a field like health care. Reference: David Matheson, Anne Wilkins and Daphne Psacharopoulos, 'Realizing the promise of disease management. Payer trends and opportunities in the United States', Boston: Boston Consulting Group, February 2006, p. 7 ; N.C. Aizenman, 'Insurers tout disease management programs, but critics are wary', The Washington Post, 20 July 2010. 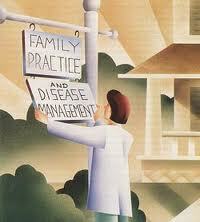 Today disease management is a major industry. In the decade following the American Medical News article, entrepreneurs moved into the field offering disease management services (DMOs) have grown rapidly with revenues increasing from $78 million in 1997 to $1.2 billion in 2005 in the US. In 2010 the Washington Post estimated the industry to be worth over $2.4 billion "with programs included in practically all plans offered by large employers, in nearly half of group plans purchased by small businesses, and in many state Medicaid programs". Reference: N.C. Aizenman, 'Insurers tout disease management programs, but critics are wary', The Washington Post, 20 July 2010. Soeren Mattke, a senior scientist at the Rand Corp., who has reviewed the limited range of independent scientific studies on the subject, said that there is "very little evidence" that any short-run benefits produced by disease management programs translate into a reduction in the kind of complications that require hospitalizations or emergency room visits.